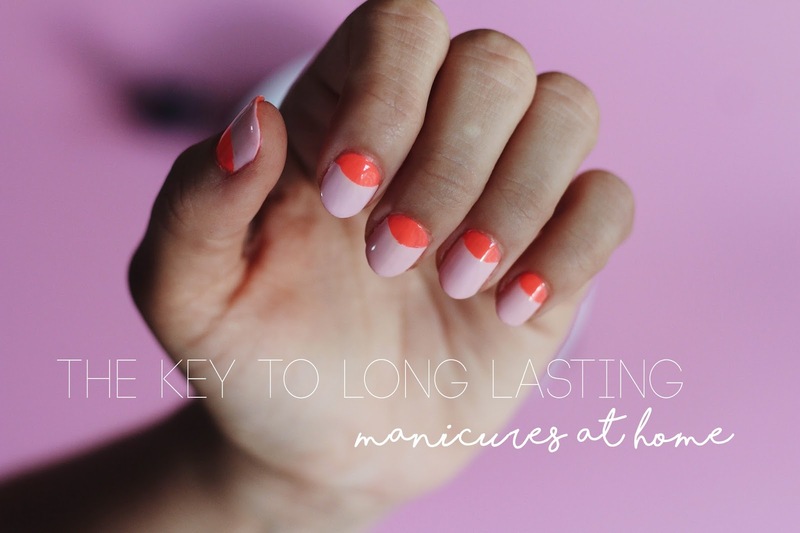 It's been a long while since we posted a mani tutorial, but I haven't stopped loving a good one! I love to keep my nails painted and if I could fit it in, I'd do some sort of nail art every time I do my nails. 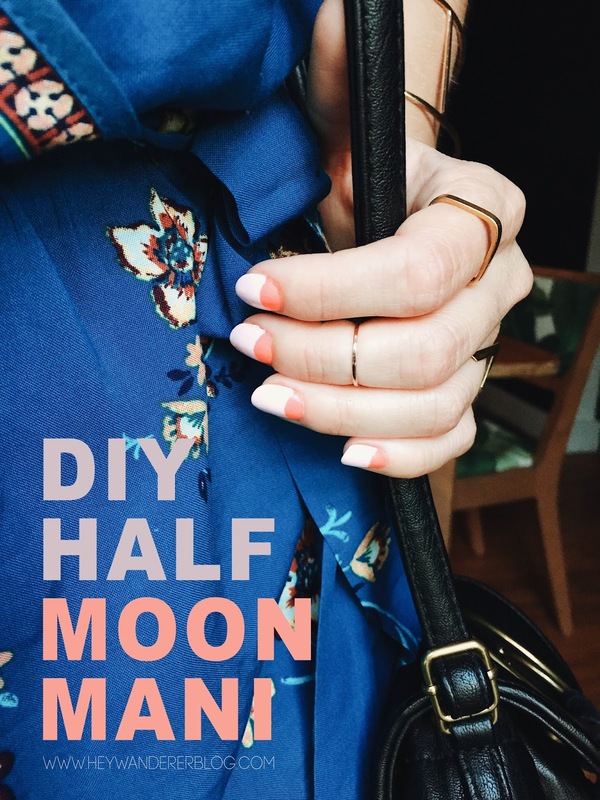 This mani has got to be one of the easiest in the books, but it looks like you had it done professionally. You don't need any fancy tools, just some circle stickers and two nail colors of your choice. I'm using OPI Mod About You and China Glaze Thistle Do Nicely. Let's get started! The key to long lasting manicures at home is a gel top coat. I got my gel lamp as a gift, and honestly didn't think I'd use it that much. But I was very wrong. What I love about gel polish is obviously that it last so much longer than regular polish. Also, your nails are always much shinier when you have gel polish on. The thing I don't like about gel manicures is that you have to go get them done and they can be costly. This is why I now use the lamp often. My common routine is to paint my nails with regular polish and then use a gel top coat. It's fast and my nails keep for at least a week. Without this top coat, my polish usually lasts about 2 days. Finding gel colors is a lot harder than finding regular polish, so the possibilities are endless with this method. Also, when it comes to nail art, it is always easier to use regular polish vs. gel. Have you tried gel at home yet? It's definitely my new go-to. Thanks for reading! It was not concerning the cash, however concerning the theory that they completely recognized. Not only had been he or she remorseful concerning the scenario, the Blue mercury beauty Collection takes steps to make certain circumstances that need management escalation tend to be handled properly http://www.hollywoodreporter.com/lists/fathers-day-2017-grooming-gift-guide-1012675. FishTankSetups fluvial Fx6 will always remind you the date of your last filter maintenance and water change of your aquarium. During maintenance water flow can be stopped with the turn of its valve lever, thereby separating the filter and hosing.